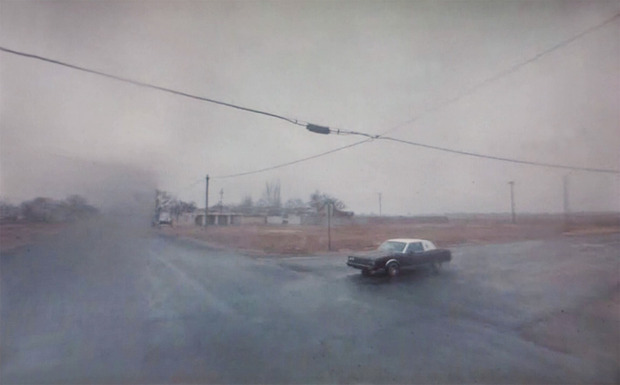 If photographer Doug Rickard had been able to get away from his daily life and go on the great American road trip like he wanted to, he might never have created the subtly powerful, deeply moving and award-winning images in the collection “A New American Picture.” Because he was unable to travel, Rickard sought other ways to see the country. 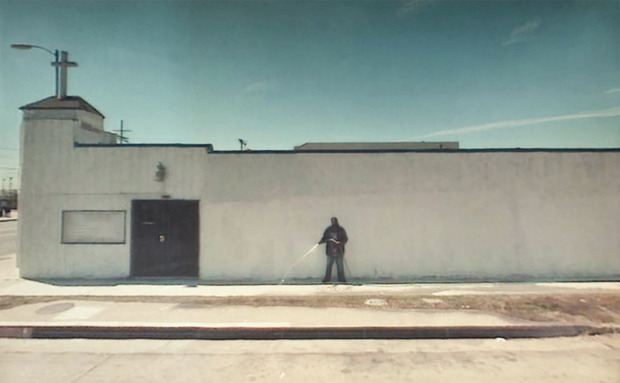 He went online a lot, searching terms that might lead to images of places like Detroit, which to him symbolized “the mythology of the broken down American dream.” A few months after it was created, Rickard discovered Google Street View and, along with it, a higher calling. He was floored by the fact that he could sit at home and “walk” the streets of any town, anywhere in the country. 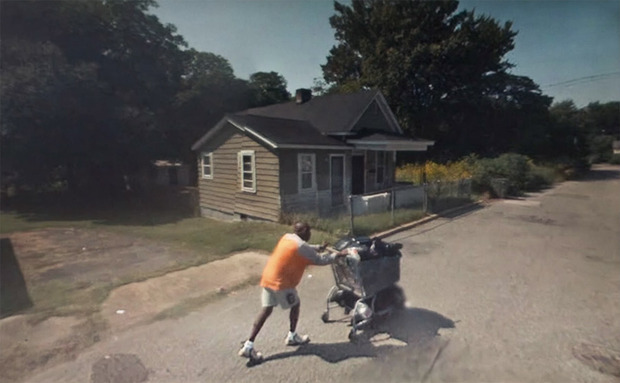 Rickard spent the next two years scouring Google Street View for images of the unseen America, starting in Detroit, though he soon discovered that there were countless other “Detroits” all over across America. He was stunned by towns like the 400-person town of Amite City, Louisiana, which has changed little since Ben Shahn photographed it more than 70 years ago. 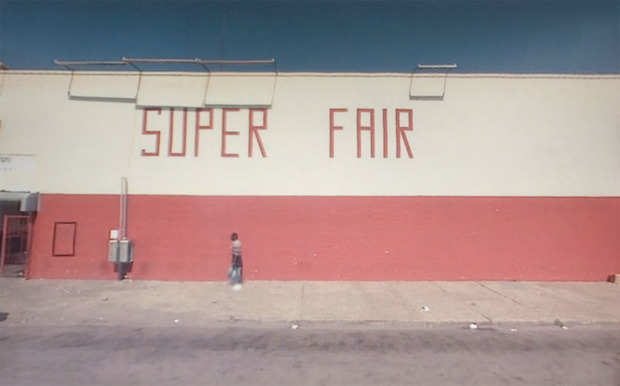 Moving through the streets shot by Google’s Street View cameras, Rickard searched for vivid colors and compositions that have led critics to liken his work to Stephen Shore and William Eggleston. He also kept the idea of Henri Cartier-Bresson’s “decisive moment” in the front of his mind, and recalls the sense of elation when he dropped into Watts in LA one day and discovered a man holding a hose against a stark white wall. Though there have been some grumblings about ownership and intellectual property, those have mostly been quashed by the power of Rickard’s work and his abilities to use—one might even say repurpose—a widespread technology to show us a new way of looking at what’s in front of our very eyes, which is what good photographers strive to do. A limited edition of “A New American Picture” was published by White Press and Schaden in 2010, and even though it was named best book of 2010 by Photo-Eye Magazine and images were exhibited in the MoMA, it went out of print. Now, however, Aperture is re-releasing the book to a wider audience along with 40 new images. “A New American Picture” is co-published by Koenig Books, and is available for pre-order onAmazon for $60. An accompanying exhibition will be on view 18 October through 24 November 2012 at Yossi Milo Gallery in New York. Posted in Articles and tagged A New American Picture, Essays & Reviews.